OTT Legal is a paralegal firm providing legal services in traffic tickets and criminal representation. As licensed by the Law Society of Upper Canada, we provide Commissioner of Oaths services to the public with walk in service, no appointment necessary. Fantastic staff. They communicate very well, both listening and feedback. I contracted them as my defense while I was travelling. They won my case. Great job, highly recommend! I had a great experience with OTT Legal . They did an amazing job. Kept me updated throughout the process. Fantastic service. Thank you very much for your support and guidance. Very satisfied and would highly recommend OTT Legal to anyone. Detailed, organized and professional service from the start. Would highly recommend to anyone. I cannot thank you enough for your assistance. Your legal expertise and professionalism went above and beyond my expectations throughout the course of my case. These people are amazing! Fully recommend them for your traffic ticket needs. Professional service. Kaelah from OTT Legal did an awesome job to fight my tickets. Thank you very much. A very professional, down to earth and straight forward paralegal service that saved me time, money and trouble. I contacted Kaylah only a few days before my trial for my handheld device ticket and failure to surrender license. As soon as I met her I felt as if I was in good hands and got a good vibe. She was so professional and very honest and straight up with me. I met Jeremy the day of my trial at court.I was very nervous however the way he guided me was so amazing. He made me feel confident and calm. He is so knowledgeable, honest and tells you how it is. At the end he got my HANDHELD DEVICE TICKET DISMISSED! I was so happy with the result. It was unbelievable! Theres no way I could have done it without them. They are both such great people who are classy and professional. I have already given their number to my friends and family and would highly recommend them to anyone who needs to fight their tickets. Thank you so much Kaylah and Jeremy! Best of luck with everything!! Kaylah from OTT Legal Services is an excellent paralegal. She took the time to review my case carefully and was always in contact with me about my case I definitely recommend Kaylah if you have traffic ticket. Got my speeding ticket thrown out. Professional service. Was told upfront what my options are before I paid and no false promise made. Definitely recommend to others. 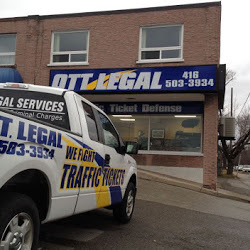 OTT Legal has done an excellent job and a very professional service for me and helped me out with my red light traffic ticket with no consequences. All the personnel working at OTT Legal are very nice, committed and disciplined. I highly appreciate their great job on my case and it would be my great pleasure to recommend the OTT Legal to everyone! Excellent service provided. Helped me out with my traffic tickets twice- I didn't have to worry one bit about it, OTT Legal handled it right away. Very personable, professional team. Answered my calls on weekends to talk about my case. Highly recommend to everyone! Kaelah was very professional and honest with me when it came to fighting my cell phone ticket. She explained the entire process in detail and made me feel very comfortable in hiring OTT Legal. It was a pleasure working with them. Fantastic experience, very straightforward and honest. Brisk correspondence, matter was dealt with completely. Handheld device ticket fought and won. Would definitely use services again. Kaelah is awesome! 5 stars all the way! OTT is an amazing Traffic ticket Defence team. My interaction was very smooth and comforting, as I was very worried about my case. Moreover, They won my case! and it was such a pleasure to work with them. I dealt with Kaelah, even thought my situation was unique, Kaelah and her team did their best to answer every concern I had. Very professional, and knowledgeable. I appreciate a lot that they took my case. Don't think twice go with OTT Legal.Very pleased with the whole experience and the end result. This is one the best places to go for your tickets. Kaelah is truly an amazing person who actually cares about people and not trying to steal your money. She has the ability to make clients feel taken care of. My entire experience was amazing and they offer reasonable prices ! Quite happy with the service. Very simple - met briefly with a representative, gave the details of the charge, and sat back while the wheels of justice turned... a trial date was set for several months later, and I eventually received the happy news the crown could not make its case. Thanks for your successful representation. Thank you OTT Legal for your excellent service. Kaelah was very professional and was able to answer any question I had. I am very happy with the result of my case and will definitely refer everyone to use OTT Legal. Very straightforward. You pay, wait for an update and they give you an update. No hidden or additional charge. They also advised if it's worth to fight or not, not just encourage you to pay. I had two tickets, decided to fight for speed but just pay for cellphone. Speed ticket cancelled after a couple months. Thank you very much. Thanks for all the help in getting my ticket cancelled. OTT is very professional in the way they operate and always updated me with the status. I highly recommend there services. Great Service! I cannot thank OTT Legal in Etobicoke enough for all their hard work and efforts in fighting my case. I received frequent updates and prompt responses to all of my inquiries. Thank you once again for everything! To say that am absolutely thankful and impress is an understatement. Kaelah and her team (Gurvinder) did an excellent job! I had a ticket that carried demerit points and fine. An early resolution option didn’t result in a positive outcome so, I decided to seek legal help. I did some research and found OTT Legal Services Etobicoke, spoke with Kaelah who was very professional and explained required process to me. I did all she advised and allowed them handle the case. The case was dismissed with no conviction, fine or demerit points, and my driving record clear of the offence. Thank you so much, Kaelah and your team (Gurvinder). I will definitely recommend OTT Legal Services Etobicoke to anyone seeking professional paralegal ticket services with an excellent customer service. I received my first ticket and did not know what to do. I contacted OTT Legal and Kaelah was very professional and understanding and explained everything to me about the process. She kept me updated through out the case and always answered my emails promptly. Great customer service and I will definitely recommend OTT Legal to my friends and family. I am very happy with the results from my case that Kaelah and her team had worked on for the past few months. 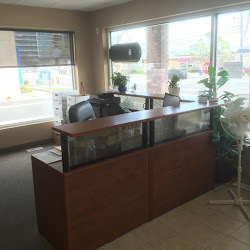 The front desk girl is very polite and welcoming, Kaelah is very professional and very helpful on my case, the communication is clear and up to date, overall I am very satisfied with the service from this office. I would definitely recommend Kaelah and her team to other people who need some real help. Thanks again! Absolute best place to fight your ticket. I had an unbearable ticket and demerit points to deal with. OTT Legal-Etobicoke office made sure not only did I not receive any demerit points but I also didn't have to pay a dime toward the ticket. I have used Ex-coppers and now OTT legal - traffic ticket defense ( If I ever receive a ticket in the future, OTT will be my first stop without a doubt) Thank you very much for your hard work, Much appreciated. OTT Legal Services was the best decision I made for my case. the legal team and services were on-top of everything the moment I asked for help. If you are ever in need of help, I strongly recommend this team! Keep up the great work! Glad I called OTT Legal. They fought my offence and the crown had to withdraw my charge. No demerit points, no fine and my driving record remains clean! Thank-you OTT Legal! Kaelah and her team did an amazing job with my case! Won and got the ticket withdrawn on the first trial. I would encourage anyone seeking help with their traffic tickets to give them a call! YOU WILL NOT REGRET IT. It was such a pleasure to experience the service from OTT Legal. Kaelah was really approachable, kind, and helpful. I had a speeding ticket and got the charge reduced and no demerit points. They had informed me of all the possible outcomes of the case so that I was made aware and consented to proceeding. I am really happy with the way they run their services and how professional they are. Thank you so much as always! I would recommend them to anyone. I have to say I am so happy I called you guys! No points, No charges to me... And this is Thanks to you. Definitely worth it! 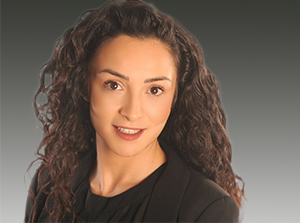 Kaelah Mizzi from OTT Legal was so kind and helped me so much with getting my charge withdrawn. There is no conviction, fine or demerit points, and My driving record is clear of this offence. Kaelah Mizzi from OTT Legal was so kind and helped me so much with getting my charge withdrawn. She made sure i understood everything and did not judge me because of my actions. She did so much for me i dont know how to ever thank her. She was so friendly and overall left me relived and happy. i highly recommend to come to her! Very straightforward and simple process! They were extremely helpful and got my ticket completely withdrawn! 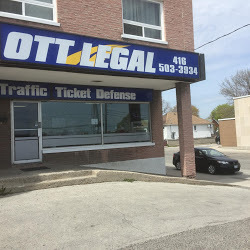 I just received great news from Leila, OTT Legal in Etobicoke... "We are happy to advise you that we won the ticket we fought for you. There is no conviction, fine or demerit points, and your driving record is clear of this offence. We will send you a letter in the mail confirming this." Thanks guys, amazing service! I will recommend you guys to anyone I encounter under similar circumstances as mine. Happy 2018 OTT Legal and staff! Excellent service, reasonable cost, and took care of my two tickets with minimum involvement from myself. My first time using traffic ticket paralegals, so I would highly recommend them. 5 out of 5. In Rory’s words “Easy is the best” and indeed it was very easy guys. My ticket was completely withdrawn, no points, no nothing!From now on I’ll recommend Ott to anyone who needs your services. Thanks! Excellent personalized attention! When the case was originally ruled against me, OTT legal appeared a second time on my behalf and had success. Thank you for your time and effort in obtaining a successful outcome on my behalf! 5 STAR RATING! THEY FOUGHT AND WON MY TICKET OF RED LIGHT. AS A RESULT, I AM FREE OF ANY CONVICTION, FINE OR DEMERIT POINTS! MY RECORD IS 100% CLEAN AGAIN! THANK YOU SO MUCH! HIGHLY RECOMMENDED. Had a great experience with OTT Legal on a traffic ticket that I received. Kaelah was terrific to work with and was always responsive, informative and collaborative in her approach, and they did a great job representing me and delivering a positive result. Thanks again! OTT legal helped me twice in winning my tickets. Both times we walked out without any charges. Highly recommend their professional services and expertise. Thanks Chris and OTT team! OTT legal was great! They were able to get my speeding ticket reduced as they had advised. They answered my questions and walked me through the process. Delivers results, no false commitments and prompt response all the time. Won me the ticket. Kaelah Mizzi was a pleasure to work with. I have nothing but good things to say about Ott Legal. 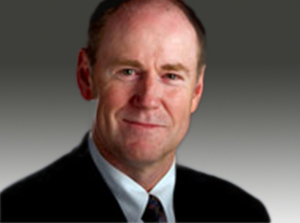 Chris is well experienced in his field and you can rest assured, you're in good hands. My fiance and I recently found ourselves in a pickel and even though there was evidence stacked against us Chris got the charges dropped. I highly recommend squaring their services if you're ever in a pinch. Best legal team out there! An excellent company, the staff are very friendly and welcoming. Kaelah always got back to me very quickly and I was able to get the desired outcome. Thank you OTT Legal, Etobicoke. I recommend this company to everyone. They have the best service. They helped me a lot and never let me down. Amazing work. they won the ticket they fought for me. There is no conviction, fine or demerit points, and my driving record is clear of the ticket I 've received.good experience with them and easy t deal with. They are amazing ❤ Every possibility that exists, they will try out to help you win over your case. I would highly recommend you to choose OTT to have your record free of charges. Marcello is the best!! Kaelah was great. She got me off of a cell phone driving ticket. Always answered when I called, very professional and came out with the result I wanted 🙂 I will be using her again. Kaelah Mizzi and the team at OTT were very prompt and efficient in handling my ticket. Kaelah handled my case, was confident she could help me, and the result was exactly what I had hoped for. Great service! Thank you! The OTT Etobicoke office helped me fight and win my disabled permit case. They were efficient and answered all my questions. I highly recommend them! Marcello, Kaelah and OTT Team did an Incredible job fighting my ticket and completely won it! I was so surprised and relieved and I want to extend my thanks to OTT for doing such phenomenal work! Contacted OTT law based on recommendation of a friend, best recommendation I have ever received. Marcello handled my claim, and the result was fantastic. Super professional team who were very quick to respond to my request and with my results. Best service I have ever received, well worth the price. I was worried about who to retain to fight my traffic ticket. I thought that the way it happened, that the Police Officer had me. Now, I can truly say that I am happy and very grateful to OTT Legal Queensway Team for winning my ticket outright. (All points saved and no penalties).